TUCSON, Ariz. – The Gustavus softball team concluded play Monday at the Tucson Invitational, splitting a doubleheader with Buena Vista. 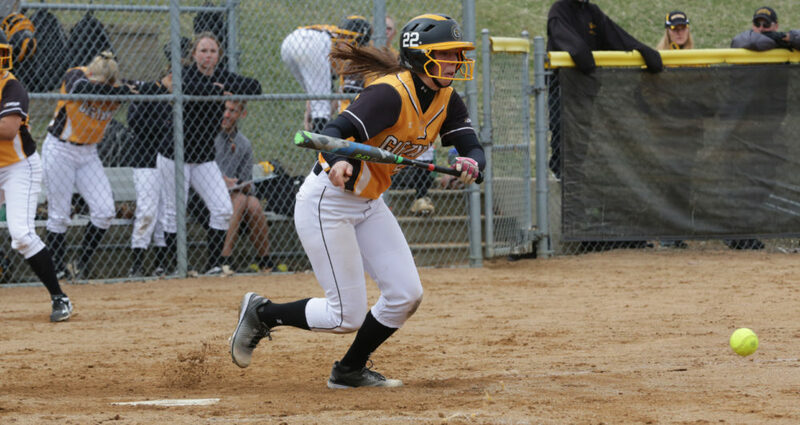 The Gusties lost the first game 8-0 and rebounded with a 7-3 victory in game two, improving to 4-10 overall. Buena Vista scored two runs in the first inning and cruised to a shutout victory. The Beavers added two runs in the third frame and four in the fifth in a shortened game due to the eight-run rule. Beaver pitcher Moriah Guyett tossed a no-hitter. Ashley Neuenfeldt (Fy., Bloomington, Minn.) took the loss after three innings. She allowed one earned run on six hits with a pair of strikeouts and walks. The Gusties snapped a seven-game losing skid in game two of the doubleheader after collecting seven runs on 11 hits. Gustavus jumped out to a 2-0 lead in the first as Emily Webb (Jr., Maple Lake, Minn.) hit an RBI single and later scored on an error. The Beavers tied the game in the bottom half before the Gusties regained a one-run lead in the third as Webb bunted home Neuenfeldt. The Black and Gold took a 4-2 lead in the fourth. Emily Carlson (So., Burnsville, Minn.) singled home Kammerer, who previously doubled. And in the seventh frame, the Gusties tallied three more runs on three hits and an error. Neuenfeldt went the distance on the mound, allowing two earned runs on five hits with a strikeout and four walks, improving her record to 2-6. She also led the team at the plate, going 3-for-3 with three runs. Gustavus is off until April 2 when it hosts Bethany Lutheran for the home opener.